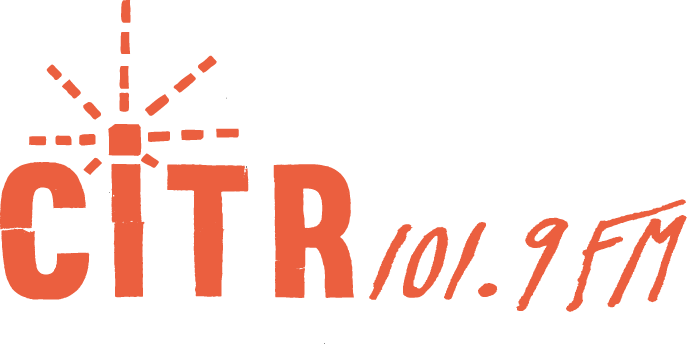 On Monday, December 1st, CiTR will be hosting 24 Hours of Student Power! 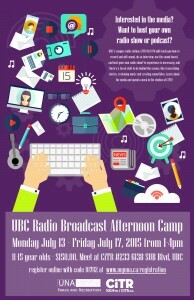 The annual event has students broadcasting live from the station for a full 24 hours. Numerous UBC clubs and organizations will be coming on air to chat about, and promote their cause. List of participants includes the UBC Social Justice Centre, Blank Vinyl Project, Film Soc, UBC Ski and Board Club, AMS Executives, and more! 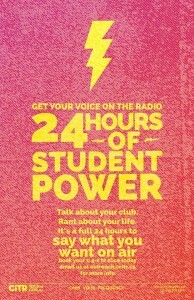 24 Hours of Student Power will kick off at 6 AM on December 1st, and run to 6 AM on December 2nd. Support the voice of the students and join us! For more information, be sure to visit and RSVP on the Facebook event page here.